Willow Lake Dental is a family owned business located in Vadnais Heights, MN. We are a general dentistry office that focuses on helping families and individuals improve and maintain their oral health. Because of this, our office offers a full range of services including dental cleanings, x-rays, fillings, root canal therapy, extractions, crowns/bridges, whitening and more. We feel that proper oral health is a fundamental part of a healthy lifestyle. That’s why we strive to offer the best preventive and restorative care along with oral health education to help our patients look and feel their best. We strive to become the dental home for you and your family! Dr. Tracy has taken what she’s learned through school, working in community health and as an associate in private practice to develop her approach to dentistry. She works hard to make your visit comfortable and as stress free as possible. Because communication is very important to us, we make sure to listen to your questions, address your concerns and explain what we are doing and why we are doing it. We know that going to the dentist can cause anxiety-that is why we pride ourselves on providing compassionate and professional service without judgement or criticism. Our service and attention to detail is what sets us apart. Give us a call today and see what we mean! We feel that maintaining a clean, comfortable and modern office gives us the environment to take the best care of you. That’s why our office is equipped with digital x-ray, panoramic, impression and intra-oral camera equipment. We also keep current with advances in technology, materials and techniques through continuing education and research so you can be assured we are providing you the highest standard of care. Our office is located directly off of 35E, less than a mile north of 694, at the County Rd E exit. This makes us easily accessible from throughout the Twin Cities. 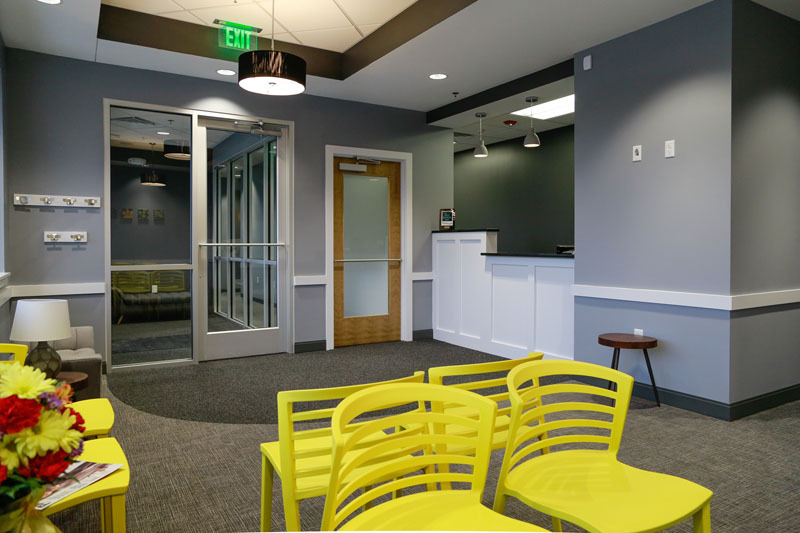 We also have early morning, noontime and evening hours available to accommodate our patient’s busy schedules. Dr. Tracy (Wendland) St Dennis is a 2008 graduate of the University of Minnesota, School of Dentistry. Before college and dental school, Dr. Tracy grew up in Arden Hills, MN and graduated from Mounds View High School where she enjoyed playing soccer and hockey. After that, she then attended the University of Wisconsin, Eau Claire where she graduated with a BS in Biology. Outside of work, Dr. Tracy enjoys spending time with her family and friends. She lives in Shoreview with her husband, Mark and daughters Lucy (4) and Violet (3). Tracy loves being on the go and is always finding something fun and interesting for her family to do. When she gets time away from everything else, you might find her at Caribou reading a book or working out at the community center. 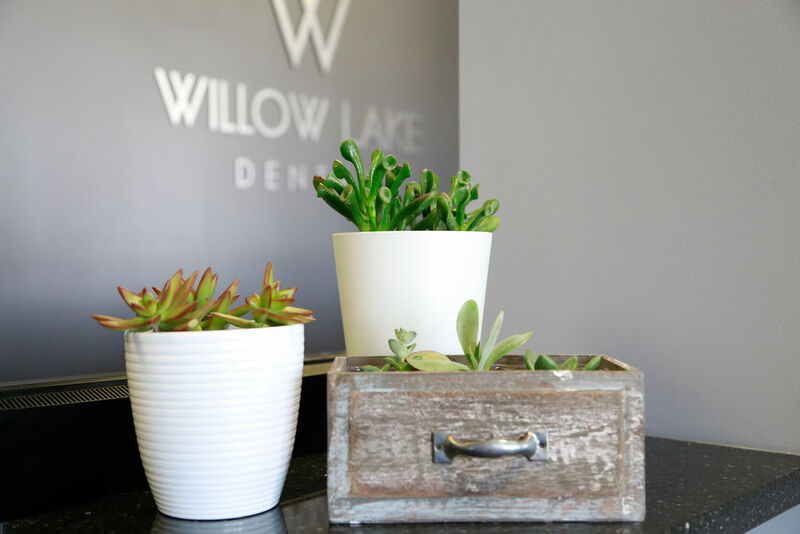 Willow Lake Dental is a general dentistry office located in Vadnais Heights, MN. Our office is conveniently located near the intersection of 694 and 35E. We are easily accessible from throughout the Twin Cities Metro area and beyond. We offer convenient appointment times and are an in-network provider with several insurance plans. Give us a call today and see what makes us different!